After a seven-game losing streak, the Majors came out with a vengeance Saturday, scoring 21 points in the first quarter alone. 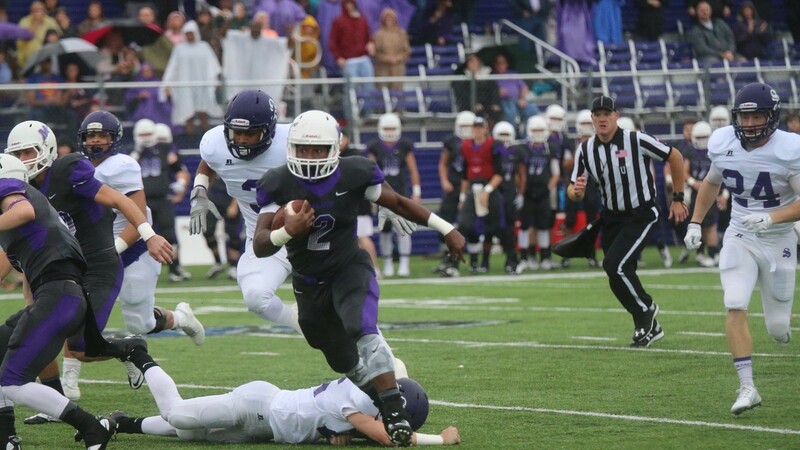 But Johnson said, “The team was not feeling any pressure to get the first conference win, we just wanted to have fun playing in the rain.” After a blocked punt by the Majors defense, the offense took over at the Sewanee 10-yard line. Two plays later, Johnson rushed 24 yards for a Millsaps touchdown. It did not take long for the Majors to increase their lead. Two plays into the Majors’ next possession, Johnson recorded his second rushing touchdown of the game, this one for 35 yards. The defense was equally strong as they forced a fumble at the Sewanee 25 yard line. Hector Sandoval recovered the ball and ran it 25 yards for another touchdown, increasing the lead to 21-0. The initial drive of the second quarter mirrored the first as Johnson rushed four yards for his third touchdown of the game. Millsaps quarterback Chance Clowers got in on the action as he threw a 19-yard touchdown pass to Kain Mitchell, making the Majors’ lead 35-6. The Majors defense did not go quietly. With 10:05 left in the third quarter, Chandler Loy intercepted a pass from Sewanee quarterback Kevin Bolak and returned it 20 yards for Millsaps’ sixth touchdown of the game. Johnson, a senior running back, had a career game for the Majors. He rushed for 138 yards, including three rushing touchdowns. “It felt so good to get a win [because it has] been so long, and sharing it with my teammates and coaches made it a great day,” he said. The Majors will hit the road next weekend for their final regular season game against Rhodes College. Johnson said, “We will work extremely hard this week at practice to make sure we are ready to end the season with back-to-back wins,” also noting that he would like to give a shout out to Drake.